Missouri Star-O. 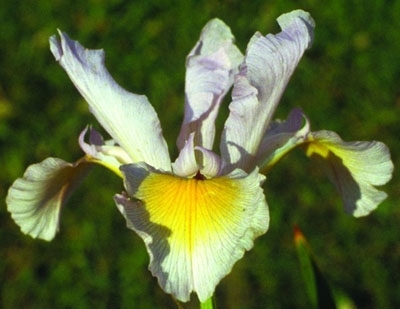 D. Niswonger-98-Spuria Iris-42 Inches Tall-Medium bloom season-Standards lavender blue. Falls ruffled lavender blue with medium yellow signals. HM.